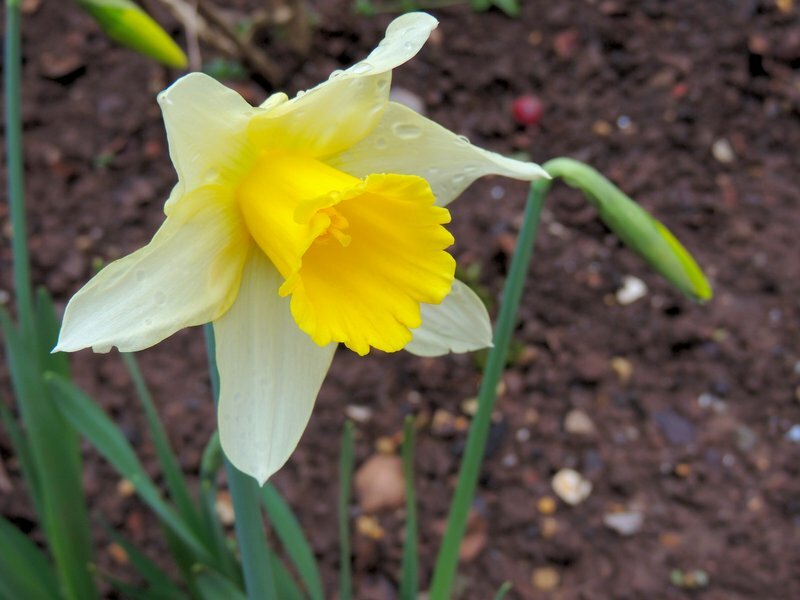 Last week began with mild temperatures, double figures for most of the week and night temperatures never fell much below seven degrees c, until Saturday that was. Boy oh boy did we get a surprise! Inevitably, with a rapidly falling barometer we should have guessed that we were in for a change. Saturday morning dawned and it was pouring down, 17 millimetres fell during the day making the weeks total rainfall to 29 millimetres. Today (13th) was a different story .5 degrees C but beautifully sunny and a treat to be in the garden. My plans for this week were partially completed I never seem to manage to do it all. The large Photinia ‘Red Robin’ has had a rather severe prune as the canopy it was forming produced a great deal of shade over the patio border. The Hellebores have all had a good quantity of old leaves removed in order to expose the flowers more, when they open that is. The first flush of Violas have now finished so they have also had a haircut, the more you cut the more you get ! I have managed to install the heated propagators in the large greenhouse together with a “Heath Robinson” style lighting arrangement (more on this later). I would have liked to start sowing this week but the light levels here in the southwest are still quite poor so a bit more patience I think. I have made inroads into repotting up our overwintering perennials which have been in the greenhouse. Our efforts in the late summer last year, taking cuttings, sowing seed etc. have rewarded us handsomely, we now have a good supply of Lavender, Lupins, Penstemon, Heuchera, Aquilegia and Astrantia. The fruit and vegetable department is beginning to show signs of life, however the warmer weather is beginning to bring the soft fruit buds on whereas we need a good cold spell to set the fruit on the apples and pears, never satisfied are we ? The garlic is growing away nicely and I think I will put a bit of poultry manure around the emerging plants. It is a bit early to do this but with all the rain we have had I think that a lot of the goodness has been leached out of the soil. 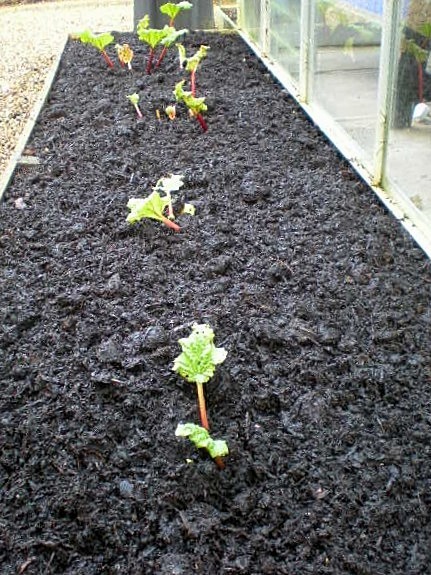 My two year old Rhubarb bed is looking very good at the moment as can be seen. Light pickings only last year seemed to have paid dividends. I have now given it a good dressing of well rotted farmyard manure, which has covered a lot of the emerging stalks. We are hoping for a good crop this year as it forms the base ingredients for the preserves and chutneys. We made the decision this year to try to sow all of our seeds in peat free compost, this is not an eco warrior decision but we have found that many seeding composts are now very poorly produced and we seem to get quite a bit of trouble with sciarid flies, will report further next week. 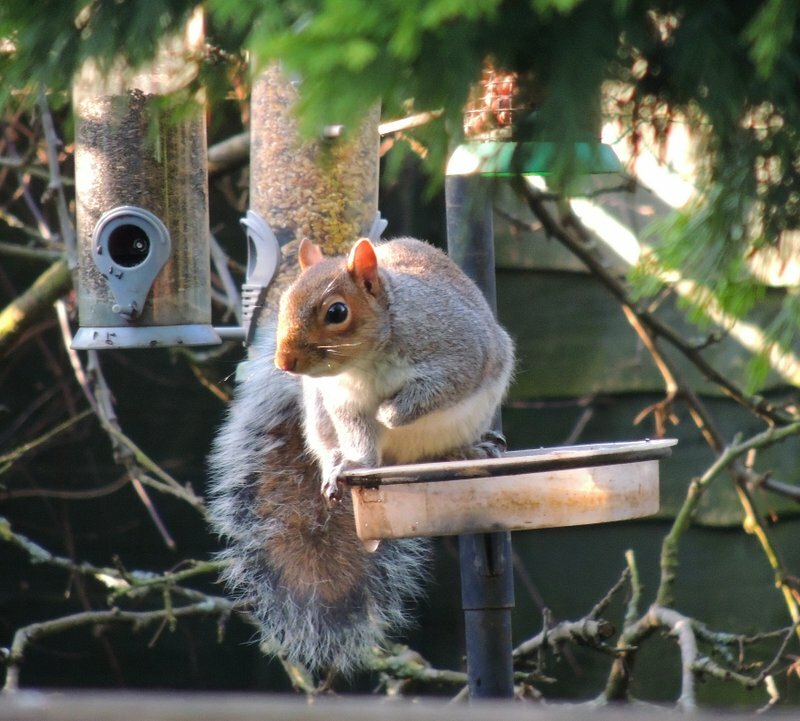 Finally a couple of wildlife pictures, well as near as I get t o wildlife anyway. 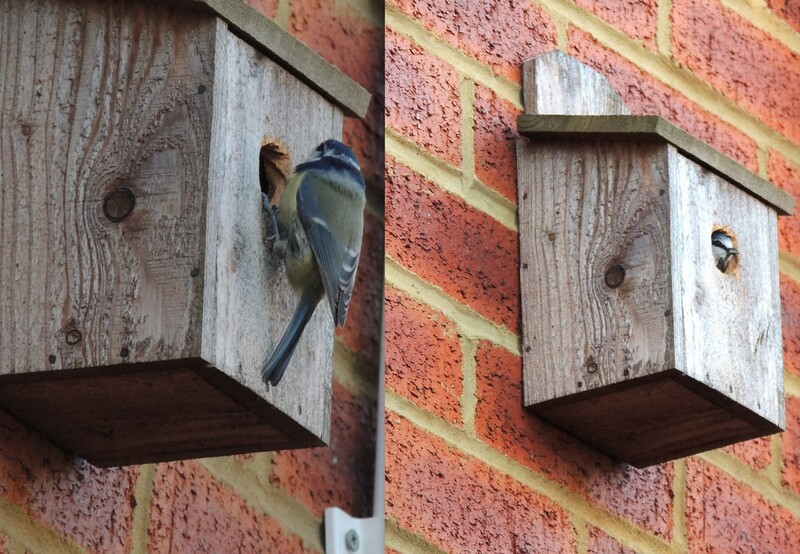 This bird box has been there for over six years and never had a bird in it, looks like we have a new tenant! Me mate, eat the nuts nah, only here for a drink honest. This entry was posted in Diary, Garden and tagged gardening, pruning, vegetables. Bookmark the permalink. 1 Response to Another damp start ! That was a lot of rain in a short period of time. Sounds more like a day during our monsoonal wet season. We’re waiting patiently for the rain here. I know just how heavy rain leaches out the goodness from the soil. Like you I have to spend time and money putting back the good stuff. Sounds like you’re keeping busy despite the cold temps and the rain. Great to see the Rhubarb emerging. Loved the squirrel shot. He does have a guilty look on his face. How wonderful to see a bird has moved into the birdbox. It looks like quite a colourful little creature.